Get your first 3 issues for just £1! Whether you want Computeractive delivered to your door or on your tablet or smartphone every fortnight, we have three subscription packages for you to choose from. Whatever option you choose, you can get the first 3 issues for just £1! 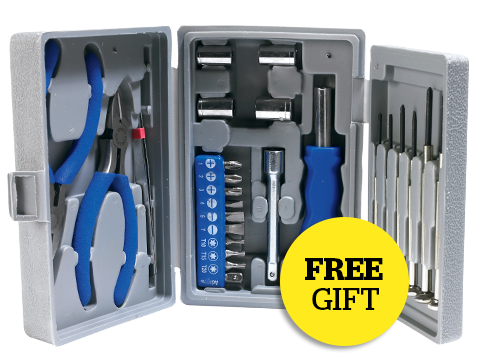 Plus you will receive a FREE 26-piece PC Repair Kit when you subscribe to our bundle or print subscription offer. Computeractive magazine is your friendly guide to PCs, gadgets and the web. Our aim is to demystify the world of technology and make its benefits accessible to all, no matter what your level of experience with computers.